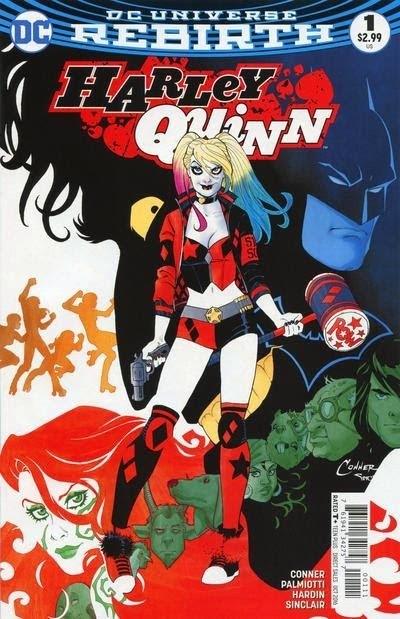 She's Fantastic: DC Multiverse Rebirth HARLEY QUINN! 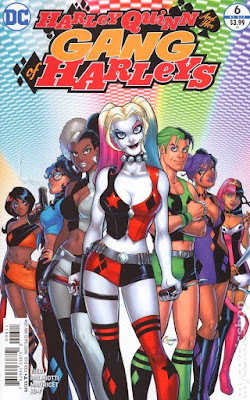 So, similar to previous Multiverse exclusives that we saw in the Suicide Squad and King Shark lines, Spoiler and Harley Quinn are a Walmart Exclusive sub-line (known as the Gotham Girls assortment) that include variant Collect-c-Connect pieces for the Lex Luthor wave. The exclusive TRU Robin came with an alternate hammerhead head for King Shark, and the Amazon Exclusive Suicide Squad figures came with alternate pieces for Killer Croc. In this case, Harley comes with the alternate Mother Box accessory got "God of Apokalips Lex Luthor" and Spoiler comes with his head. The rest of the Luthor wave (with the standard head and accessories) has not hit retail yet. Harley comes with a signature Mallet, a gag pistol with a "bang" flag, and two ankle pom-poms. In addition to all the articulation we've come to expect from the Multiverse line, this figure also has articulated ponytails which add a lot of variation to her posing. Harley also comes with the Lex Luthor God of Apokalips C-n-C Mother Box accessory. Here she is with her wave-mate from this 2-figure Walmart Exclusive Gotham Girls wave, the enigmatic Spoiler. And here she is with the recent Batman Missions Harley figure. They share the same general design and possibly use the same headsculpt, just scaled to different sizes.